Happy Birthday Pattern Review !! I went to a GREAT birthday party last Friday. It was a party to celebrate Pattern Review and it’s youthful and vibrant 13 years in helping sewng people connect with each other and share in community on the internet. The Party was held at Elliot Berman Fabrics in NYC. 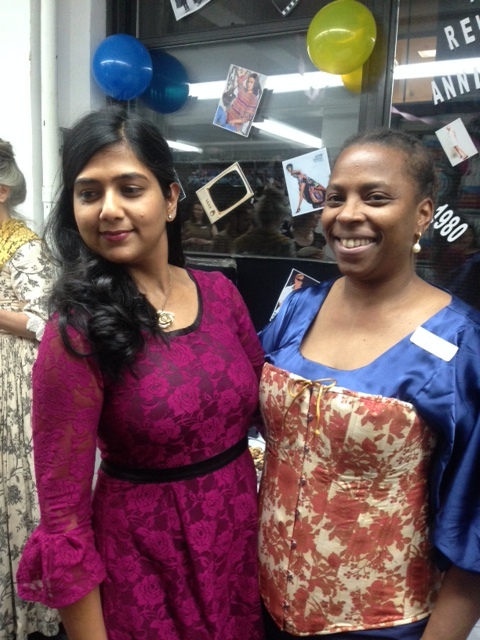 The theme for the party go-ers was to dress in the kind of garment that reflected your favorite era of fashion. I chose to wear a corset simply because a corset ( or it’s slightly different cousin the STAY..) to me best represents that commom garment which was the support underneath MULTIPLE eras of beautiful womens fashion. From Medieval, to Renaisance, to Puritan, to American Civil War era, to the Victorian era, to 1980’s Maddona, to Dita Von Teese and Lady Gaga, ya gonna find a corset worn proudly by SOME woman at any given era. 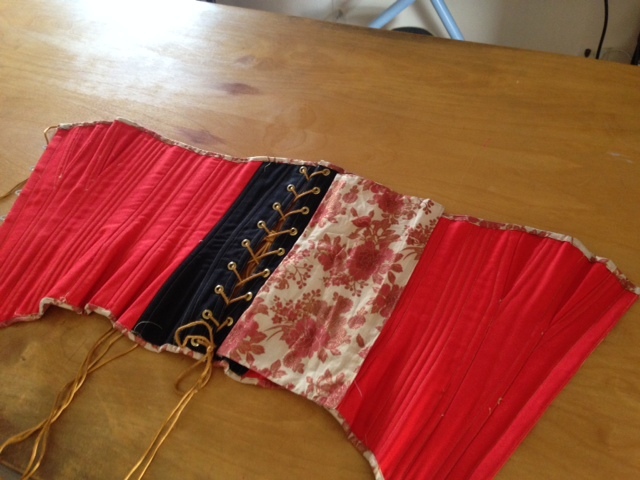 I chose to wear a corset I made for myself from a Laughing Moon pattern just so I could have one for myself. 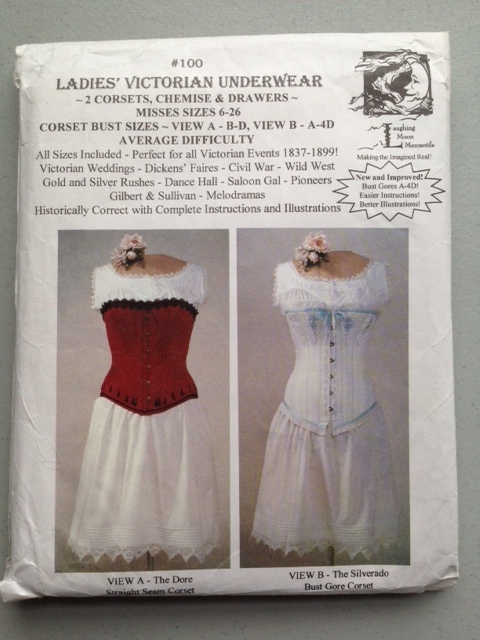 I got hooked on corsets when I took the Beverly Johnson Bramakers course a little while back. Beverly has a great Craftsy course on bra making these days. 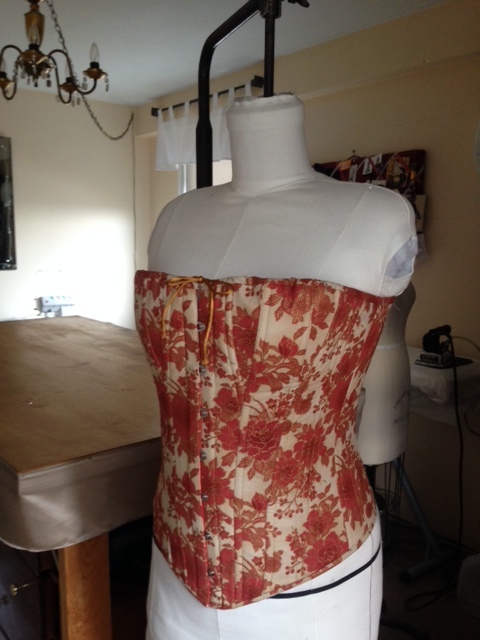 At the time I went, Beverly included corset making as part of the 8 week professional bra making course I took. 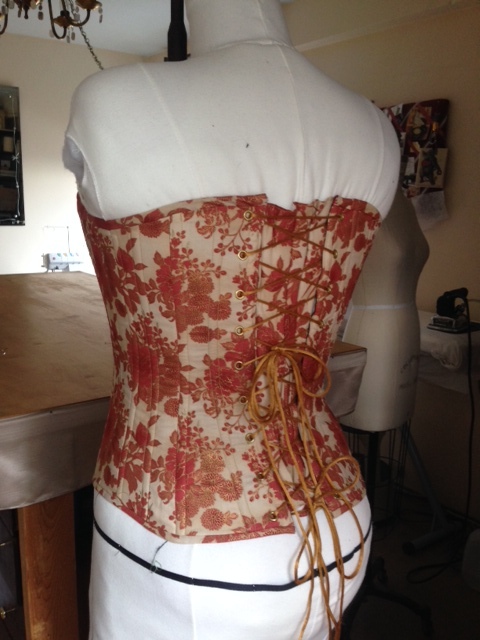 Once I put on my first corset in that class– I was SOLD on them and addicted to making them !!! I think (hope ? ) that I may have made a mini convert to corsets in Deepika when she tried this corset on at the PR Birthday Party. Even if you never make a corset for yourself, if you learn how, the sewing skills to make a corset “cross train” well to help in making Bridal wear and prom wear, and yes all the popular vintage styles. The out-ter layer floral fabric of this garment is cotton from The City Quilter. I just liked the print and decided to use it. I lined the cotton fabric with a thin cotton polyester to support the cotton print fabric. Inside I used a fabric called COUTIL which is a tightly woven strong cotton fabric made to put up with all the “pull” force that is needed to lace up and wear the garment. 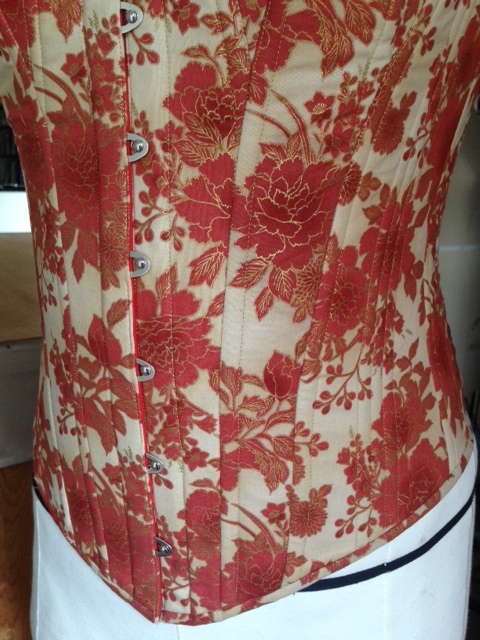 I added what s called a “modesty panel” in the back so my skin would not show through the back lacing. I used metal coil boning, and I have my own grommet setting machine to set the grommets in the back. That corset is awesome. I did not realize Beverly’s class was 8weeks long. My, my, after taking such an extensive course, I wouldn’t buy another bra. I’m planning on checking out her craftsy class soon.